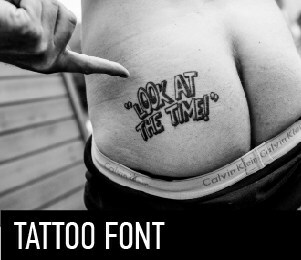 The font for a tattoo can be absolutely any, it totally depends on customer’s request. Usually girls choose a beautiful handwritten decorative font. Guys like more brutal fonts. Very often people prefer Gothic or vintage fonts. In this section we have tried to collect all the fonts that you may need to create a tattoo lettering.